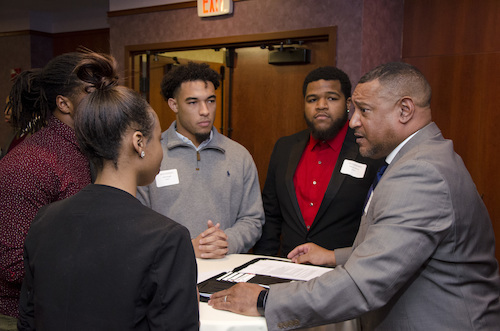 The Thea Bowman Scholars Program is designed to help African-American students achieve success and mature as leaders throughout their lifecycle at Walsh University. The program aligns with the University’s mission and overall commitment to create an environment that is inclusive and supportive to the student’s cultural, spiritual and personal development and their academic success. Students accepted into the Thea Bowman Scholars Program will have opportunities to explore various cultures, politics and history within the United States and abroad. Financial assistance may be available to those students who demonstrate significant financial need. 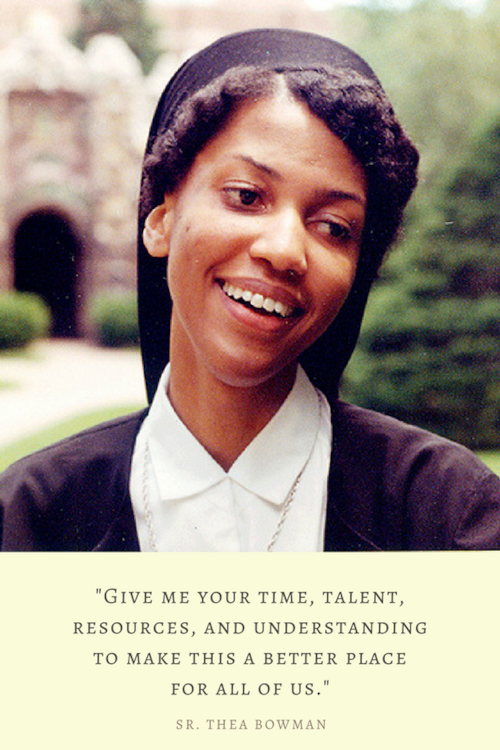 The late Sr. Thea Bowman, a Franciscan Sister of Perpetual Adoration from Canton, Mississippi, was nationally known for her work in advancing and diversifying the individuals within the Catholic Church. By invitation from Walsh’s third President, Br. Francis Blouin, Sr. Thea visited Walsh and addressed a crowd of more than 1,300 individuals on September 18, 1989. During the ceremony, she was awarded the Founders’ Award for illustrating the same ideals as Venerable John de La Mennais and Father Gabriel Deshayes, founders of the Brothers of Christian Instruction. Sr. Thea was 52 when she died of bone cancer on March 30, 1990. Her legacy as an educator, evangelist and proponent of Catholic education lives on today through initiatives such as the Thea Bowman Scholars Program at Walsh University.